Iran’s defense minister said on Wednesday it had tested a new missile but this did not breach the Islamic Republic’s nuclear accord with world powers or a U.N. Security Council resolution endorsing the pact. Iran has test-fired several ballistic missiles since the nuclear deal in 2015, but the latest test was the first during U.S. President Donald Trump’s administration. Trump said in his election campaign that he would stop Iran’s missile program, reports Reuters. The Security Council held an emergency meeting on Tuesday and recommended the matter of the missile testing be studied at committee level. The new U.S. ambassador to the United Nations, Nikki Haley, called the test “unacceptable”. “The Islamic Republic of Iran is against weapons of mass destruction, so its missile capability is the only available deterrence against enemy hostility,” the lawmakers said in a statement carried on state media on Wednesday. The state news agency IRNA quoted Ali Shamkhani, head of Iran’s National Security Council, as saying Iran would not seek “permission from any country or international organization for development of our conventional defensive capability”. The resolution urged Tehran to refrain from work on ballistic missiles designed to deliver nuclear weapons. Critics say the resolution’s language does not make this obligatory. Tehran says it has not carried out any work on missiles specifically designed to carry nuclear payloads. The test on Sunday, according to U.S. officials, was of a medium-range ballistic missile, a type that had been tested seven months ago as well. Iran has one of the Middle East’s largest missile programs but its potential effectiveness has been limited by a poor record for accuracy. However, Hossein Salami, deputy head of Iran’s powerful Revolutionary Guards (IRGC) said on Sunday, the day of the test, that the country was now one of the few whose ballistic missiles were capable of hitting moving objects. Such a capability would enable Iran to hit enemy ships, drones or incoming ballistic missile. 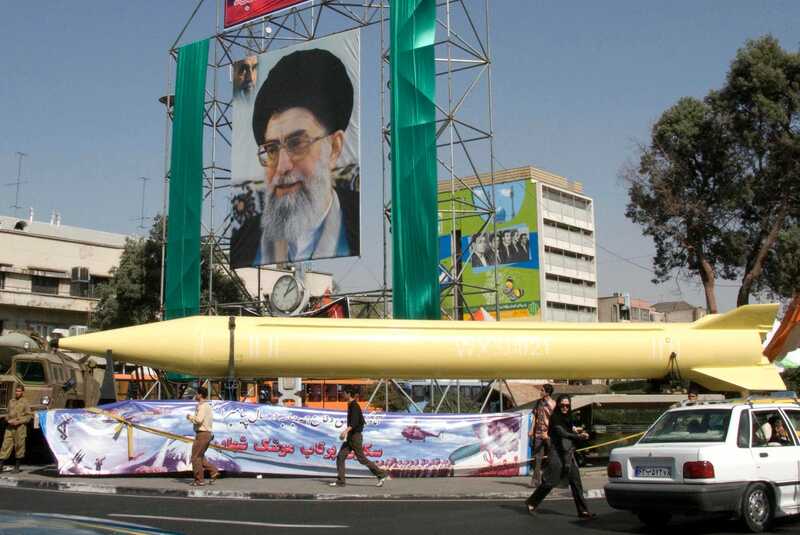 Some of Iran’s precision-guided missiles have the range to strike its regional arch-enemy Israel.